Home > Unlabelled > What’s up for 2018? 2017 brought a lot of big wins for AppsEvents. February last year, we successfully run our first NexTech Innovation Summit, a new kind of event designed for International School Educators. 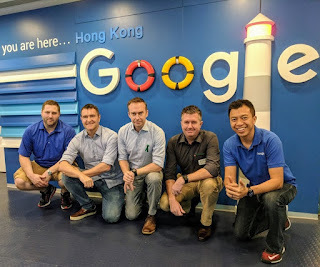 Aside from organizing new Google summits, we also did a couple of FREE seminars in sponsored by Google, RM Education, and Acer. We welcomed more Google Certified Educators worldwide by offering more in-person Level 1 & Level 2 bootcamps as well as a new team member. We also renewed our global partnership with Acer (more Chromebooks to give away! ), launched a YouTube show, and finally found the perfect hashtag for our community! 2018 is looking exciting for Google for Education in the UK. There have been big moves in Scotland, where G Suite is offered through Glow (central single sign on portal created by our partners RM). 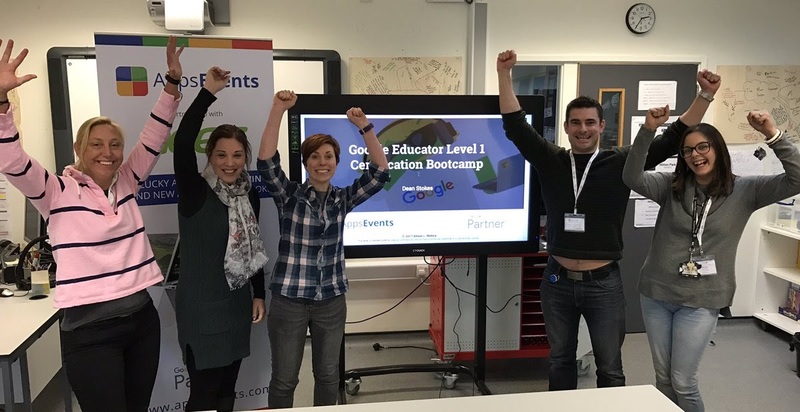 Keep an eye out for bootcamps, summits and GEG Scotland events to support this exciting move by Education Scotland, giving choice to every school in Scotland on the technology they can use to collaborate, learn and share. Wales is on the same journey, having announced that G Suite will be available through HWB, their online portal, soon. In England both Local authorities and Multi-Academy Trusts are moving toward G Suite for Education including London Grid for Learning. If you are at BETT this month you can find us on the Google Stand C230 all week. Basically, if you want to travel and enjoy your PD, we have events in every region! We are really excited to be going back to Morrison Academy, Taichung, Taiwan (January 19-21) for an exciting Summit that brings together local and international educators. Acer will be on hand to demo new VR technology also! Then it is off to Chiang Mai for the first ever Summit in Northern Thailand (February 2-4), not just a great event but also an awesome city to enjoy the culture. Both of these events offer the Certified Educator Bootcamp as well. Also in February, if you are in the Middle East, then the magical city of Muscat will be hosting a Certified Educator Bootcamp at The American-British Academy (ABA) (February 16-17). Also watch out for Qatar Summit later in the year! Looking further ahead in 2018 we are very excited for our inaugural Latin American Bootcamp in Peru at Colegio Roosevelt - The American School of Lima (March 3-4), we will be offering several English and Spanish speaking strands! Lastly, for all Asia based educators the awesome Lee Webster will be running the Certified Educator Bootcamp at EARCOS this year - check out the EARCOS Teachers Conference in Bangkok (March 29-31). January is booking season for USA events so if you are thinking of hosting a Google PD event get in touch with me right away to secure your summer/fall dates. 2018 is the year to achieve your Google Educator Certification as schools nationwide are continuing to offer our Google Educator Certification Bootcamps for their own staff as part of their professional development offerings. We offer this ‘internally’ and as a publicly hosted event with smaller class sizes per trainer to provide more personalized support. You can book a full day of training with an experience Google Certified Trainer to lead your team through a series of hands on activities that will prepare them to successfully become a Level 1 or Level 2 Certified Educator. Exam registration, support and vouchers are included. 2018 Special! 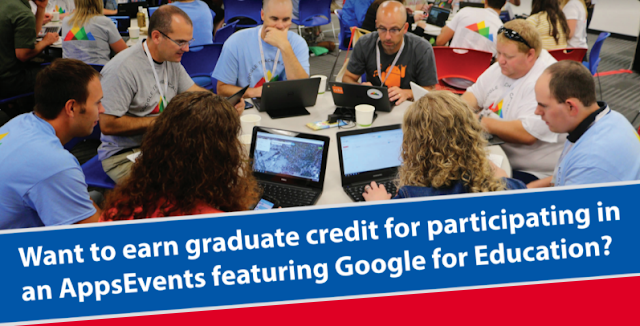 Book your Google Educator Certification Bootcamp by March 1, 2018 to receive special discounted pricing. Click here to learn more. The following 2018 events in the USA are open for registration & session proposals with many more to be posted soon. AppsEvents also provides Support Staff Bootcamp for people working outside the classroom to pick up the latest tips and tricks for using G Suite to increase productivity and improve processes. We are offering this bootcamp in Berlin on March 2nd (alongside other pre-summit courses followed by a 2-Day Summit on March 3rd & 4th). Similar trainings will also be offered in Amsterdam this March. We are also expanding to new countries in Europe this year starting off with our 1st East European Summit placed in Riga (Latvia) and our 7th European Summit this time in Luxembourg. 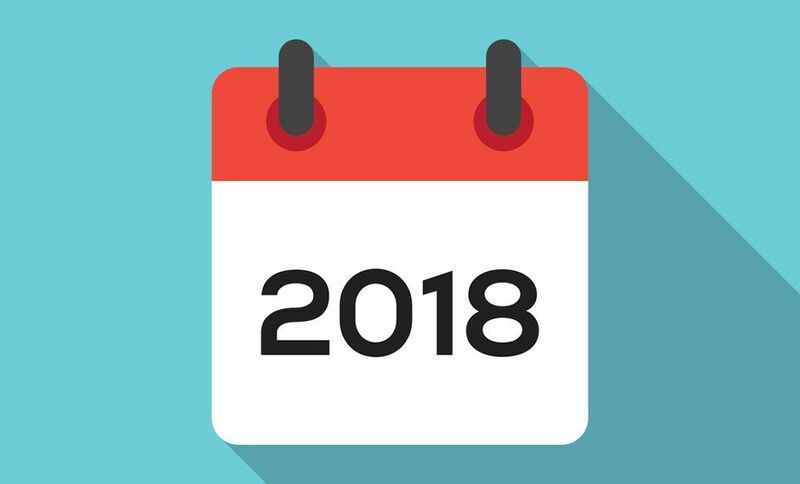 More new summits and bootcamps are coming soon so make sure to check our website often and subscribe to our email alerts to get event announcements and other interesting content. What can you expect at an AppsEvents training event? Hands on learning with the tools in front of you. Expert trainers who are all current or former teachers with an in-depth knowledge of the tools and a focus on pedagogy. Inspiring ideas to take into your classroom and schools the following day, except if the training is on Fridays of course! 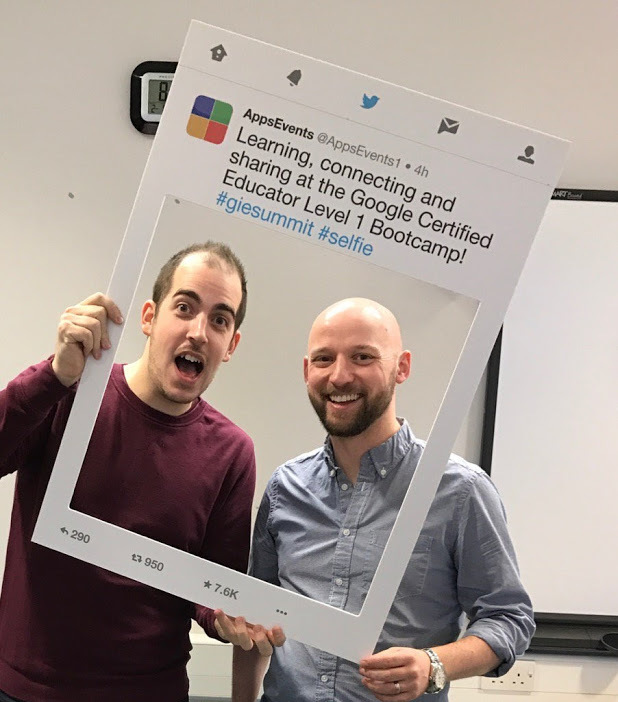 Our bootcamps give you the chance to prepare for and take the Google Educator Level 1 or 2 exams (voucher code provided) and certify your Google for Education skills. 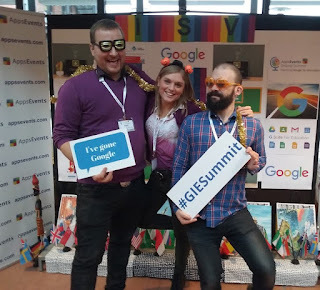 Our Summits are one or two fun and intensive days of learning with one hour sessions on a range of applications of G Suite tools for learning. The problem you will have is choosing the one idea to put in place out of the plethora you experienced. 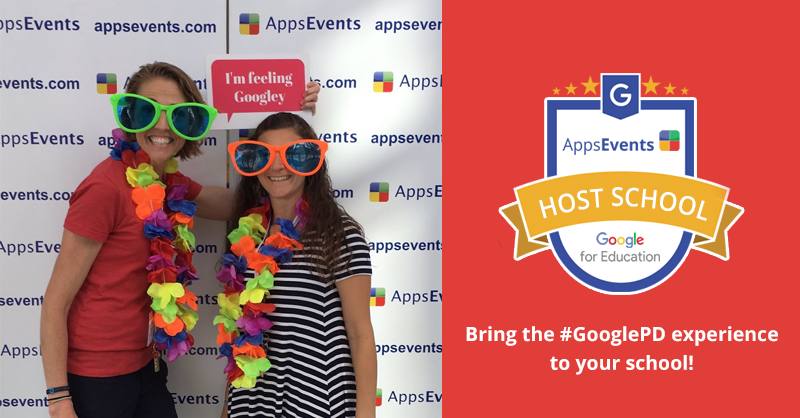 We can’t wait to see you at a #GooglePD this 2018!